Most people recognize the three leaves of poison ivy. If you need a reminder, google search the name with “images” to see hundreds of photos. 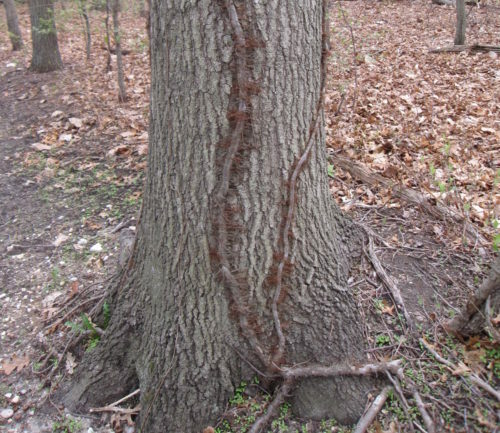 Notice that the vine is starting to encircle the foot of the tree. Carefully cut it with a limb saw, remove and dispose of this portion and extract as much of the root as possible. 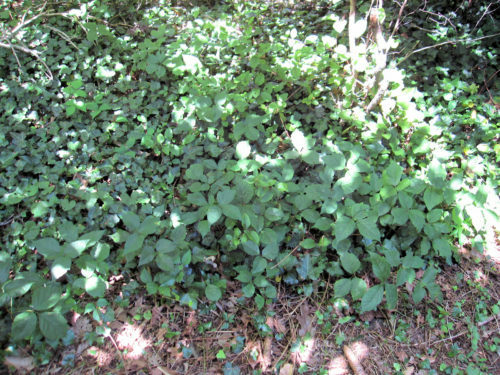 Keep in mind that poison ivy is native to Long Island, and unless it is creating a health risk leave it for wildlife to enjoy.